This is a villa near the Kiliç Ali Paşa mosque. It is the Tophane Pavilion or Tophane Kasrı (from kasır, summer palace, pavilion). 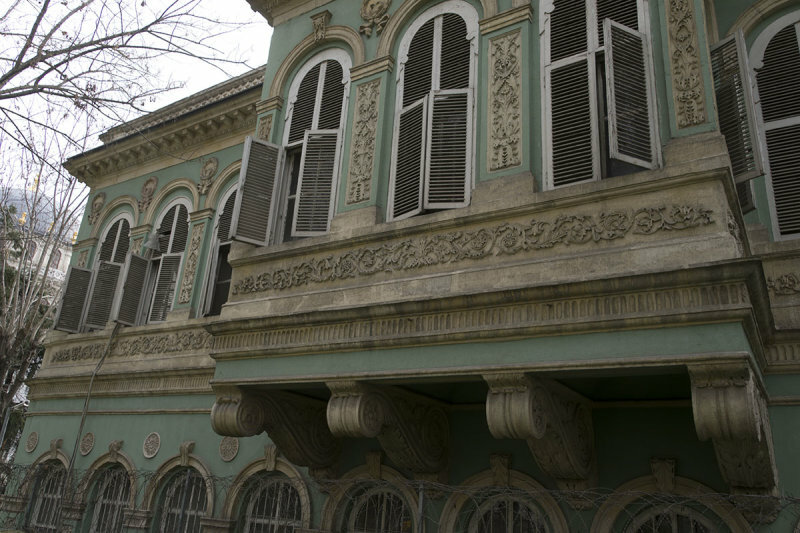 From the web: "Not far from the Tophane Fountain is this lovely small green pavilion which was once the base from where Sultan Abdulmecid (1861-1876) inspected his troops. It was designed in 1852 by William James Smith who was also responsible for the British Embassy."